Paige Powers has more than 20 years of sales, channel, customer, operations and leadership experience. 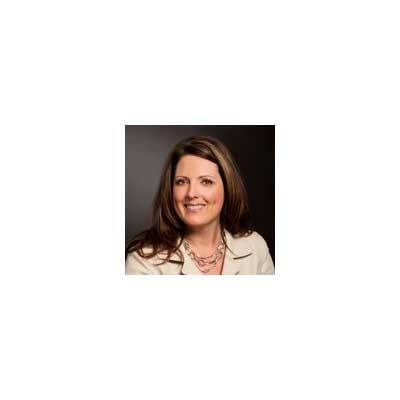 At Extreme, she is currently responsible for creating and driving strategies for Distributor landscape management, solution selling, cloud business transformation, Distributor managed partner programs, acquisition integration, supply chain initiatives and diversity distribution. She builds transformational partnerships with key IT distributors globally that extend Extreme's coverage and enablement model for partners. She also develops the global distribution strategy for 100+ distributors and leveraging distribution to scale partner growth. In addition to her focus on the distribution route-to-market for Extreme Networks, Paige leads the Worldwide Inside Sales Organization responsible for generating incremental pipeline and revenue for Extreme. This Inside Sales Organization heavily leverages Extreme Partners to lead the sales process with customers around the globe. In March of 2018, Paige is launching an online Web show called Power Tools. It will focus on news, stories and insights exclusively for Extreme's worldwide distributors. Powers holds a B.A in Business Administration with concentrations in marketing and organizational behavior from University of Washington. She is a Board Member for Loving Farm Animal Sanctuary and a volunteer for West Coast Boxer Rescue. My team and I lead the global distribution strategy for 100+ distributors worldwide, playing a crucial role in building transformational partnerships with key IT distributors to extend Extreme's coverage model for partners and drive revenue through our channel partners. In the past year, following three major acquisitions, Extreme was tasked with ensuring a smooth transition for new partners. To do so, the team introduced our new unified partner program, which combined existing and acquired programs and technologies from Extreme, Zebra, Avaya and Brocade. Once we rolled the program out in October, we ignited our distribution partnerships to build and strengthen our relationships through the new program. To ensure business continuity, the Worldwide Distribution Organization had to onboard thousands of partners very quickly to Extreme's processes and programs. To ensure partner satisfaction, we created a partner on-boarding team that was solely focused on helping partners onboard to drive profitability and growth with our key distribution partners. This helped us improve business readiness for Extreme's loyal partner base as well as the new partners we've added through our acquisition strategy. Over the next year, I'd like to set the following goals for Extreme's channel business: • Drive partner enablement and growth through Extreme's unified partner and distribution programs • Engage distribution to drive an increase in certified and specialized partners. • Invest in distribution as an extended partner coverage model and drive incremental revenue for Extreme and our partners. • In March of 2018, I am launching an online Web show called Power Tools. It will focus on news, stories and insights exclusively for our worldwide distributors. Over the past year, Paige has been included in the CRN Channel Chiefs, CRN Women of the Channel and CRN Power 100 lists. Paige has been selected as a professional mentor for the Leeds School of Business at University of Colorado, Boulder. Angie Beltz, VP at Tech Data. I am constantly amazed at her energy and contribution. She is a successful female VP in high-tech that has worked her way up over the years and was named one of the "Power 100 Women of the Channel." She is an avid contributor to her community, focused on influencing the next wave of women in STEM. In her free time, she is raising a blended family and she manages her own business. There is truly nothing Angie can't do and she inspires me daily. I am proud and honored to know Angie Beltz. Read Marcus Buckingham "Now Discover Your Strengths" - I have been a fan for years since I saw him on stage the first time at a Channel event. His focus on strengths has been the foundation for how I operate and lead teams in multiple companies and functions. Truly understanding your strengths enables you to have a more powerful impact and make better career choices that align with those strengths. Had I studied this framework at 16, I would have been more focused and on-purpose about my career path. Effective delegation is a skill I actively work on to improve myself as a leader. I have a great team and always want to help them succeed. I was raised to be fiercely independent which can be a strength and a weakness. So identifying each team member's skills and delegating to them properly is a skill I would want to master. The best book I read was "A Man Called Ove" by Fredrik Backman. The similarities between Ove and my father captured my attention in the first few chapters. I could identify with the main character. As the story developed, there were so many twists and turns I didn't expect. It has multiple layers of depth but it built upon caring and nurturing others and in the end, the curmudgeon wasn't really a curmudgeon but a warm and caring human. It shows that you can't judge a "book," or human, by its cover.